برای دانلود pdf اورجینال و با کیفیت کتاب Wastewater Treatment and Reuse که در آرشیو گیگاپیپر موجود است ، با ما مکاتبه کنید. 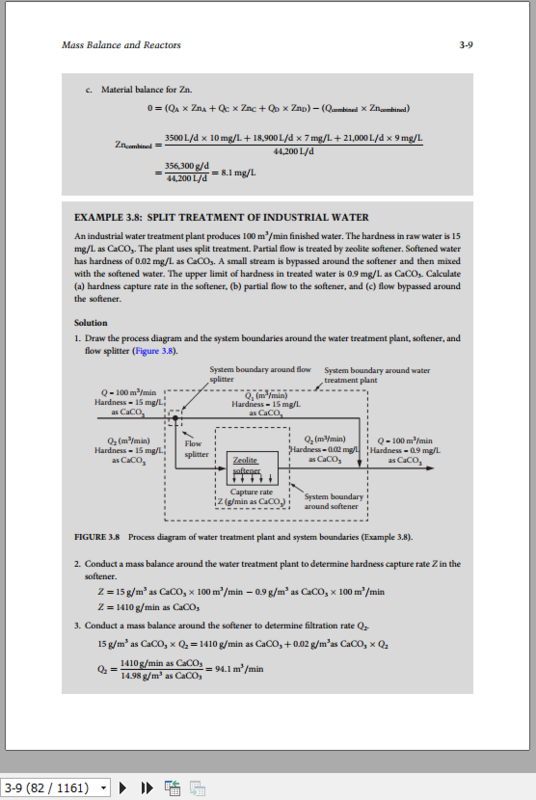 با توجه به موجود بودن کتاب ، به محض واریز هزینه ، کتاب Wastewater Treatment and Reuse, Theory and Design Examples ارسال می شود. نسخه دوم کتاب 9781351402743 هم موجود است. در مقاله بعدی، در رابطه با این کتاب توضیحات داده شده است. برای خرید نسخه ۲۰۱۸ ایبوک تخصصی آب و فاضلاب دکتر قسیم با کیفیت اورجینال (و نه بصورت اسکن) مکاتبه کنید. جدیدترین کتاب رفرنس تخصصی آب و فاضلاب منتشر شده توسط دکتر قسیم ( دانشگاه آرلینگتون تگزاس ) با عنوان تصـفیه فاضـلاب و اسـتفاده مجدد آن : تئـوری و مثال های طراحی به صورت ایبوک اماده ارسال است. به محض واریز هزینه فایل PDF خدمتتتان ارسال می شود. 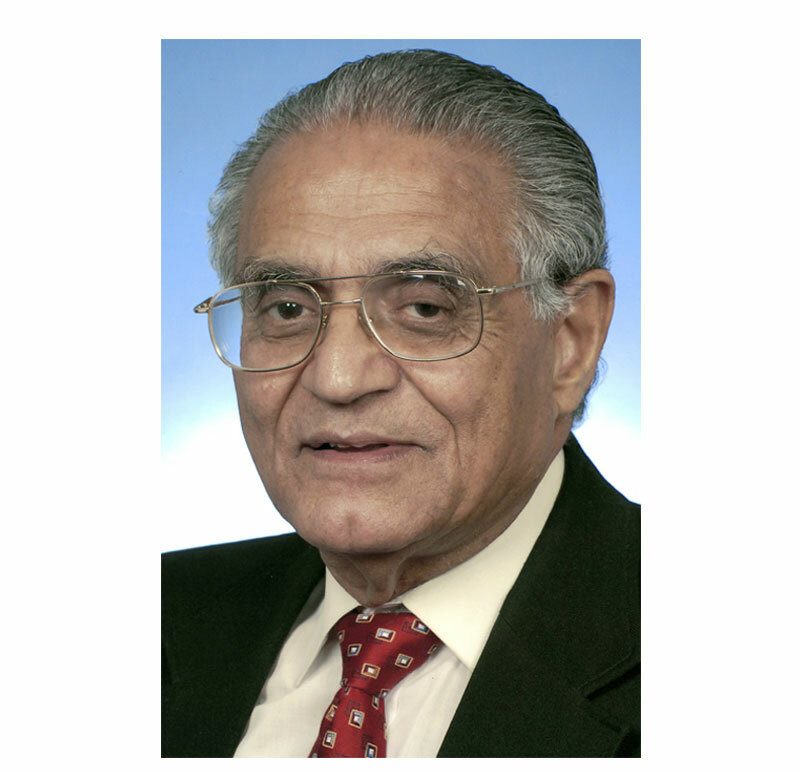 Dr. Syed R. Qasim is a Professor Emeritus in the Department of Civil Engineering at the University of Texas at Arlington. Dr Qasim received his Ph.D and MSCE degrees from West Virginia University, and BSCE degree from India. He served on the faculty of Polytechnic University, Brooklyn, NY; and on the faculty of the University of Texas at Arlington, TX from 1973 till his retirement in 2007. Dr. Qasim has conducted full time research with Battelle Memorial Institute, Columbus Laboratories; and has worked as a design engineer with a consulting engineering firm in Columbus, Ohio. He has over 47 years of experience as an educator, researcher, and practitioner in the related fields of environmental engineering. His principal research and teaching interests include water and wastewater treatment processes and plant design, industrial waste treatment, and solid and hazardous waste management. He served nationally and internationally as a consultant with governmental agencies and private concerns. Dr. Qasim has written three books, and is author or coauthor of over 150 technical papers, encyclopedia and book chapters, and research reports. His papers, seminars, and short courses have been presented nationally and internationally. He is a life member of American Society of Civil Engineers and Water Environment Federation; a member of Association of Environmental Engineering and Science Professors , American Water Works Association, and other professional and honor societies. He is a Registered Professional Engineer in the State of Texas. برای اطمینان شما از کیفیت خوب کتاب تصـفیه فاضـلاب و اسـتفاده مجدد آن با عنوان Wastewater Treatment and Reuse: Theory and Design Examples درزیر چند صفحه اول کتاب، به رایگان قابل دانلود است. As societies moved from nomadic cultures to building more permanent settlements, the waste disposal became an important concern. Odors, nuisance, and health risks primarily from infectious diseases became apparent. The advent of the water carriage system was the major development toward removal of human waste from the residential areas. Now the human waste could be diluted with large quantities of water, carried through underground pipes to a centralized location outside the population centers and disposed of in a large and suitable water body. 1. Write the stoichiometric reaction (irreversible). 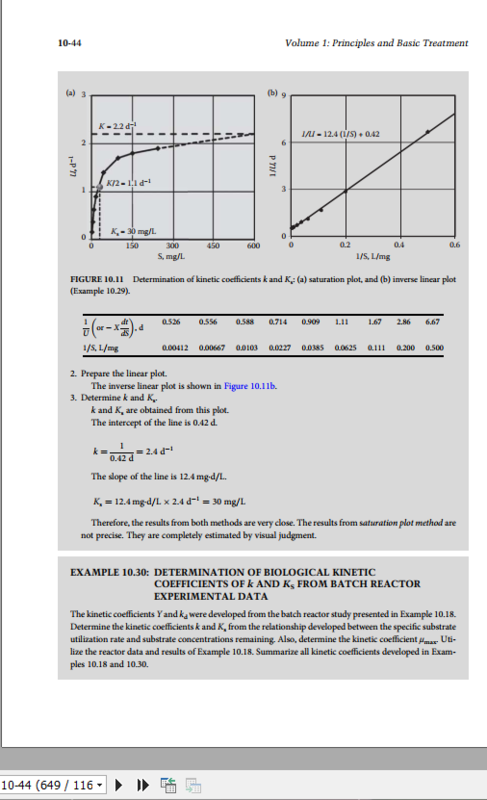 Simplify Equation 3.2a for a single stream entering and leaving the reaction vessel. Assume ﬁrst-order reaction rate (rA=−kC). 1. Draw the reactor and system boundary (Figure 3.1). Municipal wastewater is the general term applied to the liquid wastes collected from residential, commercial, and industrial areas of a city. In addition to these waste streams, some undesired groundwater and surface runoﬀ may also enter the collection system. All these ﬂows are conveyed by means of a sewerage system to a central location for treatment. There is a wide variation in seasonal, daily, and hourly ﬂow rates of the municipal wastewater, and several ﬂow terms are used to identify these ﬂow variations and characterize the municipal wastewaters. Municipal wastewater contains ∼99.9% water. The remaining constituents include suspended (settleable and nonsettleable) and dissolved solids that have organic and inorganic components, as well as microorganisms. These constituents give physical, chemical, and biological qualities that are characteristics of residential, commercial, and industrial wastewaters. The objectives of a wastewater treatment plant are to meet the eﬄuent quality standards established by the federal, state, and regional regulatory authorities; and to prevent many adverse environmental conditions that may develop due to inadequate wastewater treatment. Some of these adverse environmental conditions are (1) unsightliness, nuisance, and obnoxious odors at the plant and at the disposal site; (2) contamination of water supply sources; (3) destruction of ﬁsh, shellﬁsh, and other aquatic life; (4) impairment of beneﬁcial uses of receiving waters; and (5) decline in land values causing restriction in community growth and development. Ideally, a wastewater treatment plant must encourage the beneﬁcial uses of eﬄuent and residuals, and enhance community growth and development. Screening is normally the ﬁrst unit operation utilized at a wastewater treatment plant. The purpose of screens is to remove large objects that can damage equipment, block valves, nozzles, channels, pipelines, and appurtenances. This creates serious plant operation andmaintenance problems. Screening devices are widely used for wastewater treatment. They are broadly classiﬁed as coarse screens, ﬁne screens, and microscreens. Coarse screens remove large objects for preliminary treatment only, while ﬁne screens remove small particulates for either preliminary or primary treatment. Microscreens are actually ﬁltration devices that are used for either primary or tertiary treatment.1-3 Brief information about these devices is provided in Table 7.1. Grits are inert, dense, and highly abrasive material. They include pebble, sand, silt, broken glass, bone chips, and egg shells. Grit accumulates in pipes, corners, and bends, reducing ﬂow capacity, and ultimately clogging pipes and channels. Grit is a nonputrescible material and is much heavier than water. As a result, it makes heavy deposits in pipes and channels. Being inert and heavy, it accumulates in the aeration basin, and has cementing eﬀect on the bottom of the sludge digesters. The purpose of a primary sedimentation basin is to remove settleable organic solids. It is achieved in large basins under relatively quiescent conditions. The settled solids are collected by mechanical scrapers into a hopper, from which they are pumped to a sludge processing area. Oil, grease, and other ﬂoating materials are skimmed oﬀ from the surface. The eﬄuent is discharged over weirs into a collection trough. The purpose of a secondary wastewater treatment is to remove soluble organics and suspended solids that escape the primary treatment. These removals are typically achieved by biological treatment processes. Although, conventional biological treatment may remove 85-90% BOD5 and TSS, it does not achieve signiﬁcant amounts of nitrogen and phosphorus removals. Substrate is the term used to denote organic matter, nutrients, and other substances that are present in wastewater. Thus, the microorganisms are used to consume organics, nitrify ammonia, denitrify nitrate, and release and uptake phosphorus. Recent advancements in biological waste treatment technology provide economical method to achieve enhanced removal of organics and substantial amounts of nitrogen and phosphorus. In this section, the basic concepts of microbiology, growth phases, microbial metabolism and enzymes, and nutritional and environmental requirements are covered. Microbiology: A mixed culture of microorganisms plays a vital role in biological waste treatment. In a mixed culture, the number of species and their population depends upon the characteristics of wastewater and the environmental conditions. A mixed culture of microorganisms includes bacteria (both single and multicellular), protozoa, fungi, rotifers, and sometimes nematodes. The principal organisms involved in the bio-oxidation of organics in wastewater are the single-celled bacteria. Although some individual microbial cells are present in suspended growth reactors, the majority are present as zooglea biomass or ﬂoc. The ﬂoc consists of mixed species of cells embedded in masses of polysaccharide gums released from the slime layers of living and lysed bacterial cells.1 The protozoa, rotifers, and nematodes do not provide stabilization of organic matter in the wastewater. Instead, they feed on the bacterial population and other fragments of zooglea biomass. Their presence is simply an indication of healthy operation with appreciable aeration time. The classiﬁcation of microorganisms and basic concepts of microbiology are covered in Chapter 5. Basic Requirements: The basic requirements of aerobic biological waste treatment are: (1) presence of mixed population of active microorganisms, (2) good contact between microorganisms and substrates, (3) availability of oxygen, (4) availability of nutrients, and maintenance of other favorable environmental conditions such as temperature and pH, (5) suﬃcient contact time between food and microorganisms, and (6) eﬀective separation of microorganisms from the treated eﬄuent. Details of these conditions are provided in later sections of this chapter. Growth Phase: The bacteria reproduce by binary ﬁssion (division of original cell into two new cells). Time required for each ﬁssion is called generation time, which may vary from less than 20 minutes to several days. The growth of microorganisms in a batch reactor may be expressed in terms of time versus viable bacterial number or biomass. The viable bacterial number curve has six distinct phases. Provides in-depth coverage of wastewater treatment objectives, design considerations and treatment processes and process diagrams. Includes over 650 illustrative example problems on almost every topic, worked out in detail, to enhance comprehension and deeper understanding of the basic concepts. Covers all phases of treatment: preliminary, primary, secondary, disinfection, natural and advanced treatment processes. Offers step-by-step theory and design calculations, equipment selection, unit layout, and operation and maintenance. 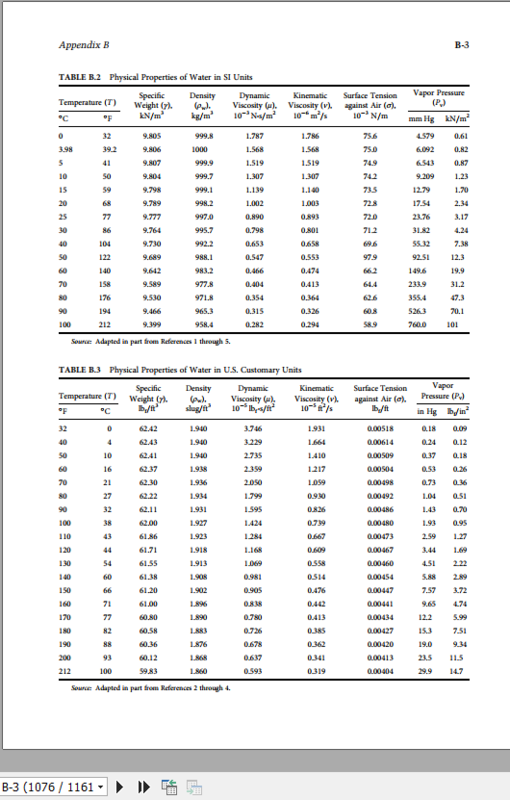 Includes numerous useful appendices: abbreviations and symbols, a listing of commonly used chemicals, physical constants of water and solubility, unit conversions, and more. This book will present the theory involved in wastewater treatment processes, define the important design parameters involved, and provide typical values of these parameters for ready reference; and also provide numerical applications and step-by-step calculation procedures in solved examples. These examples and solutions will help enhance the readers’ comprehension and deeper understanding of the basic concepts, and can be applied by plant designers to design various components of the treatment facilities. It will also examine the actual calculation steps in numerical examples, focusing on practical application of theory and principles into process and water treatment facility design. 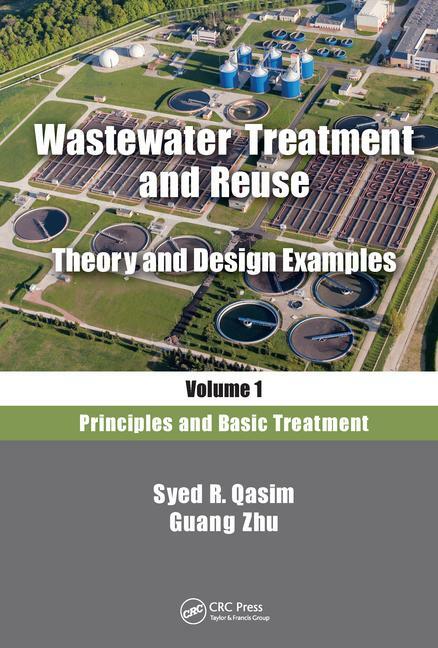 تصویر چند صفحه از کتاب Wastewater Treatment and Reuse: Theory and Design Examples: 1st Edition by Syed R. Qasim,‎ Guang Zhu CRC Press (2018) جهت اطمینان ار کیفیت کتاب در زیر قرار داده شده است.